Vomat's filtration systems maintain 100 percent separation between dirty and clean oil. To manufacture precision tools, tool manufacturers must optimally coordinate all parameters involved in the process such as edge preparation, as well as be up-to-date with state-of-the-art grinding, measurement and coating technologies. Fine filtration of cooling lubricants also plays an important role within the overall manufacturing process. Clean cooling lubricants have a significant influence on the quality of ground tools while finely filtered coolants offer extended service life which contributes to considerable cost savings in production. Grinding oils are contaminated by metal abrasion particles, dirt and decomposition products and can be a major risk factor in the grinding process. If these lubricants are not filtered comprehensively, they have to be replaced in very short intervals. This becomes even more important as manufacturing process development progresses and quality demands increase. Whether we deal with conventional, synthetic or water-miscible coolants, the area of ​​cooling lubricants has become a sensitive, highly technical topic in modern metal processing. The choice of the correct coolant depends on the respective process factors. Thanks to special additive packages, tool manufacturers can choose a lubricant which is optimized to its machining application. Steffen Strobel, technical sales manager at Vomat, stated: "In today's modern tool production, the filtration of high-performance coolants represents more than just filtering a necessary expedient. Anyone using innovative grinding oils in his grinding process cannot compromise on filtration. The decision for the right filtration system for grinding carbide and high-speed steels (HSS) is an important prerequisite for the quality and efficiency of the entire value chain. 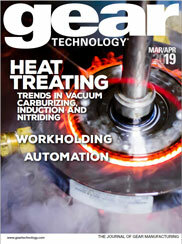 Modern microfiltration technology lets modern, highly-advanced cooling lubricants shine." Thanks to their special design features, Vomat's filtration systems are optimally set up to reliably and cost-effectively filter even the latest generations of coolants. Full-flow filtration ensures a 100 percent separation of dirty and clean oil thanks to the use of high-performance pre-coat filters. The system provides permanently clean oil in NAS 7 quality (3-5 μm particle size) to the grinding process. Another advantage is Vomat technology's energy efficiency. Vomat systems filter and backwash according to need. This means that the backwash cycle is only initiated depending on the degree of contamination of the filter elements. Strobel continued: "The optimal filtration of the coolant in conjunction with need-based filter cleaning has many advantages for the tool manufacturer. The system automatically adjusts to varying machining volumes and adapts perfectly to the production process. This means that less electricity or energy is consumed. Also, the life of the individual filter elements increases, and the coolant can remain longer in the system. In addition, Vomat systems are designed to transfer as little heat as possible to the oil, which in turn requires less cooling." Since each tool grinder has its own workflow and production processes, Vomat offers a wide range of possibilities based on their standard FA machine series to integrate filtration technology optimally to the customer's needs. The Vomat machine range covers the gamut from small individual systems to large industrial central systems. Strobel concluded: "We analyze the exact requirements of every respective company in order to set up the appropriate system. In return, our long-standing customers often involve us early on in the planning stage when innovations or building modifications are implemented in their company. Even companies that require frequent changes are on the safe side with Vomat systems, because our technology is flexible and allows for growth with the availability of a wide range of optional add-on modules."